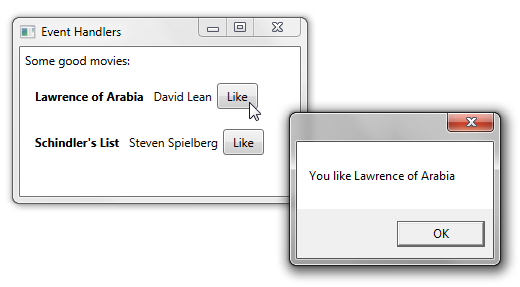 The simplest way to handle an event for a user interface element, like a Button or a Label, is to add a handler for the event to a single control. Let’s say that we have some UI elements defined in XAML as follows. 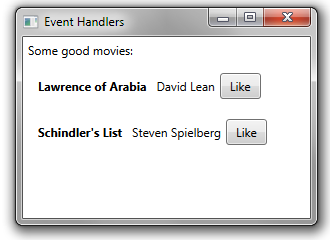 You add a handler for a single UI element by specifying the name of the event and handler (method) in XAML. And then adding code for the handler in the code-behind file.